MilesWeb team will help you to get your Elgg website online in no time. Our best Elgg hosting packages comes with preconfigured PHP and MySQL and all other required software to run Elgg successfully. 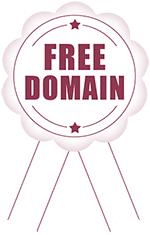 Every client gets a free private SSL certificate for the Elgg website with the option to add dedicated IP at an additional cost. Our shared hosting servers in India, UK and US and are 100% optimized for running Elgg website. Now all you have to do is login and start building your Elgg website. Why Choose MilesWeb's Elgg Hosting Service? You don’t have to worry about any technical aspect if you wish to start a Elgg website or portal. We are there with you and we will provide you with comprehensive support whenever required for getting your website/portal live. Elgg is completely free to install and you can install it as many times as you wish, at no additional cost. MilesWeb provides you with your desired hosting package with free Elgg installation. Worried about the data migration in changing Elgg hosts? No problem — We’ll take complete responsibility of migrating your Elgg website from your existing provider, remove bugs and optimize your site for the best and fast performance from day 1. Elgg is an open source content management system that is based on rapid source development. It is mainly used for creating social networks and applications. It provides with the basic structure and building blocks for establishing a good website and this also includes an extensive plugin engine that enables the user to create custom functionality and incorporate other platforms and APIs. Elgg also provides with a wide range of features comprising of user dashboards and profiles, discussion forums, groups, activity feeds and video galleries. The Elgg platform can be easily customized for various scenarios. Elgg hosting is perfect for connecting, sharing and collaborating. It is an ideal solution for schools, businesses, universities, groups and associations. Everything you need for creating a great social network is there in Elgg. With Elgg, you are in complete control of your data and relationships. Can you transfer my Elgg website from the existing host? When will my Elgg hosting account be setup? Account setting up will be done instantly once you sign up and make the payment for any of the Elgg hosting packages. Will I get assitance for installing and configuring Elgg? You will get Softaculous through which you can instll Elgg right away. However, if you face any issues, we will be there to assist you. Setup a Blazing Fast elgg Blog , Plans at just $1.11/mo.